June pounded her fist on the console. She’d tried calling several people Vic had introduced her to and none were in range of Raado. Sitting just off planet and partially hidden by the moon, she’d seen four of the five police cruisers that had followed Vic return. He must’ve given them the slip. A lot of good that did her and Joey. For that matter, a lot of good it did Vic. He may be able to land, but he wouldn’t be able to get out of his ship. He’d lose whether he made it there or not. Joey sulked. June tired of his brooding. How could he just sit there and be so childish? She had to keep reminding herself that he was new out here as well as only eighteen years old, even though he looked much younger. No longer a child, but not really a man. He didn’t even need to shave. “What does that mean? I mean if he gets caught, what happens to us?” Joey’s faced strained as he spoke. “Joey, we’re going to be alright. If Vic got himself caught, I just need to get us back to Munchkada. I’ve got some money put away just in case something like this happened. In fact…” She thought about the meeting she was supposed to have and decided not to tell Joey about it. Joey looked down at the surface of the moon. His eyes darted from crater to crater looking at each settlement and mining community. Clearly he enjoyed the scene. June decided to change the topic. June knew he was right. She’d felt the same way and had to really pressure Vic. Vic had complained about lack of money and came up with every other excuse he could, but June had worn him down and they went back. Joey couldn’t be denied that opportunity either. “Will you get off that trip?” June snapped. She crossed her arms across her chest. Joey fidgeted in his seat. June watched his reflection. He’s just scared. Go easy on him. Why couldn’t she get him to talk about something else, anything else. At least he sounded more positive. A sensor on the ship’s console blinked yellow. Slowly at first, then changed to solid green. June touched the control. An outside view of the SS Acid Rat popped up. Joey’s mouthed opened wide. June fired up Tootsie’s transponder. Vic’s face appeared on screen. “June! There you are.” He looked worried. It had to be the poison. The jerk. He’d finally figured out he needed Tootsie to open the cargo doors and that’s all he was concerned about. She hesitated. “June, just do it.” His face twisted in agony. Yelling was hurting him. Vic never screamed like that before, even when he was healthy. And about the money? Vic was never one to turn down a profit. Something serious was going on. June sat straight, fired her finger out and pressed the button on the console to send the coordinates. She then casually flicked off the display. “What was that about?” Joey said. June leaned over and kissed Joey on the cheek. Mike could hear voices. The last he heard had come from Vic, of that he could be certain. But the boss said he would send a ship? He contacted Vic? If the boss contacted Vic, why didn’t he have the coordinates of the cruiser? Mike had sent out the beacon signal. Vic should know where they were. No, Vic couldn’t be the contact. The boss’s plans didn’t include Vic directly. Vic was only a puppet being lead about, unbeknownst to him, by the boss. Mike thought fast. He had to react. Trapped inside the storage compartment of the small cruiser he couldn’t think well. He couldn’t hear well. June and Joey whispered or talked, Mike couldn’t tell. They were doing something and he couldn’t see. The gentle hum of the engines wouldn’t relent on his ears. Mike put his hand on the small sliding panel between the storage compartment and the storage space. He pulled it down a fraction of an inch. Light flooded in. He repressed the need to snap it back up. He had to see what was going on up there. To be able to hear better. He could. He could only see June’s left shoulder and Joey’s right, but he could see them. That put his mind at ease, but only slightly. He still couldn’t hear them. June said something. Joey held up a package of crackers. Mike mouth salivated and his stomach ached. It’d been hours since he’d eaten. He hadn’t had the time to get anything before he had to hide. If SPX-39 had been flesh and blood, he’d have had something to eat. His hand twitched. He needed those crackers. If only he could get one, just one, he could satisfy this hunger. He had to remain hidden. The boss would not tolerate another failure. Mike had to stay put. If Vic came back to pick up June and Joey, there had to be a reason. But Vic was on a timeline. Vic had to be back in Planchar. He’d lost at least two hours coming back for these two. He was going to lose his bet. Was it possible that Vic knew Mike had hid on board the cruiser? How could he know that? He couldn’t know that. It wasn’t possible. Vic wasn’t that smart. Mike slid the panel shut slowly. He had to think and think quickly. If Vic did know there would be trouble. If Vic knew, he could have a chance to prepare. Mike needed to be prepared as well. But how? All he had with him was the communication box. He couldn’t use it again. What would the boss think of two communications so close together? He would suspect that Mike’s failure was imminent and abort the mission. Meaning he’d blow up the box. Mike didn’t have a death wish. There was only one chance; desperate, but a chance all the same. He had to take out June and Joey as he planned. No other way existed. If he could assume control of the small cruiser, he could shut everything off, go into stealth mode and follow Vic back to Planchar. Even if Vic didn’t find the cruiser, he had to chance it. Vic would know that June and Joey were dead. He wouldn’t search for them because how could he find a stealth vehicle in the middle of space? He’d go back to Planchar to try and win his bet, something he’d never accomplish now, and Mike could follow in the cruiser. Mike’s breathing quickened as he prepared to leap out. All he had to do was push the panel down quickly. He’d have to overtake June first. Her skill far outweighed Joey’s pitiful strength making her dangerous. Yes, June had to be first. A yellowish film coated Mike’s eyes. He could feel a battle rage coming on. The communication box was pushed out of the way and Mike was ready to go. Just push down the panel and spring out. June on the right. June on the right. He could take her. He knew he could. He had to. His life depended on it. You can do this. They’re unarmed. Mike opened his mouth and bared his fangs. 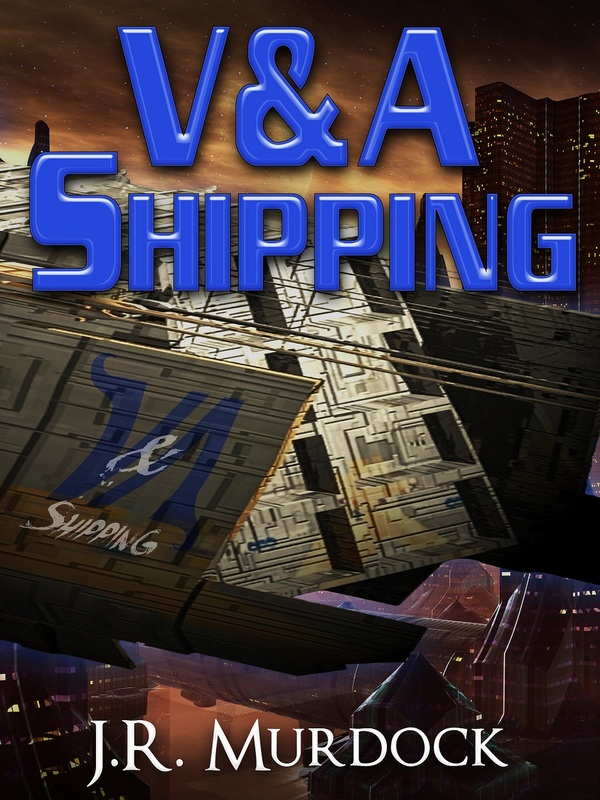 Posted on March 1, 2013, in V&A Shipping and tagged chapter, read along, v&A shipping. Bookmark the permalink. Leave a comment.